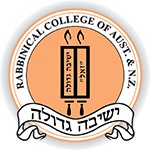 Rabbinical College of Australia and N.Z. The Rebbe Rashab established a unique Yeshivah, where students would excel not only in Talmudic scholarship, but also in the profound philosophy of Chabad Chassidism, imbuing them with the fiery spirit of Judaism. These students were to be the “lamplighters” of world Jewry – to ignite the spark in every Jewish heart, and to fan it into a bright flame.